Replacing damaged props on the Robert Ladlow. The Robert Ladlow was completed in Miri, Sarawak, Malaysia in 2008. 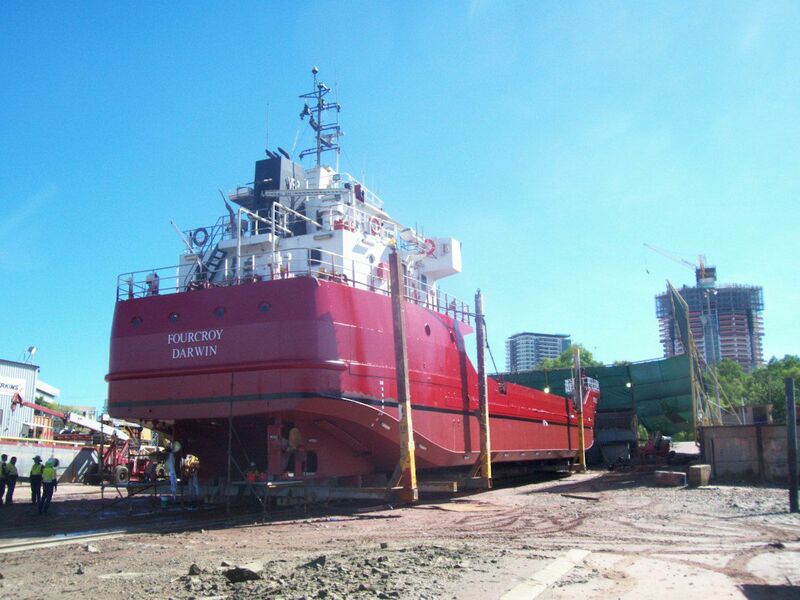 We were involved in the commissioning the vessel from new. Day Trip dive vessel operating out of Cairns. Day trip dive charter vessel operating from Cairns to the GBR. Santa Maria was a dive charter vessel operating from Cairns to the Great Barrier Reef.